Calling all children – both young and old! 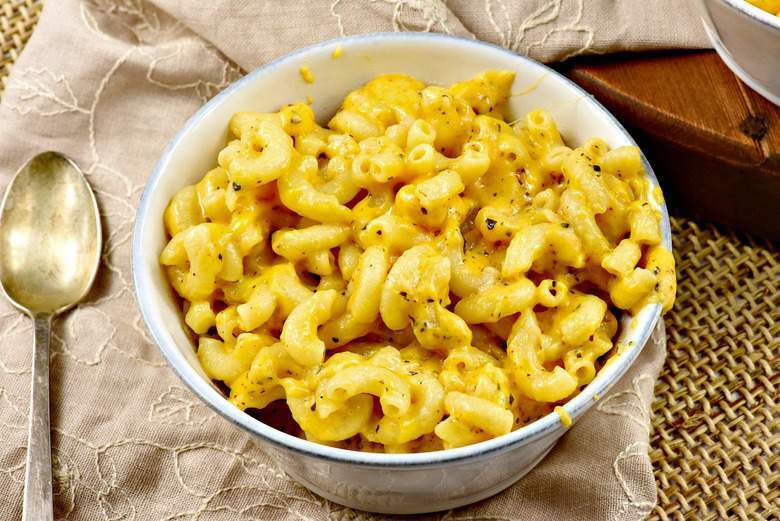 Creamy Macaroni and Cheese is here and will awaken the child in you – I promise. Before getting started, a word of warning: Check your self-control before sitting down and just kiss it goodbye! That may not be what you want to hear. But, this is a meal you will want to indulge in and just enjoy. What else can I say – when you combine the comfort of macaroni and cheese with the delicious taste – let’s just say that you don’t have a chance. We are preparing to plant another five acres of grapevines later this week. That means that family will be here to help and we will all be outside the majority of the days. I’ll show you the whole process later this week. But, guess what is on the menu? If you guessed Creamy Macaroni and Cheese, you would be right. Why? Not only does everyone love it but it is quick, easy and tastes even better as leftovers. As you can imagine with seven children still at home, there are not many meals from which I have leftovers. Having five boys around the table (most of them teenagers) I never cease to be amazed at how much food they put away – I think their legs are hollow! 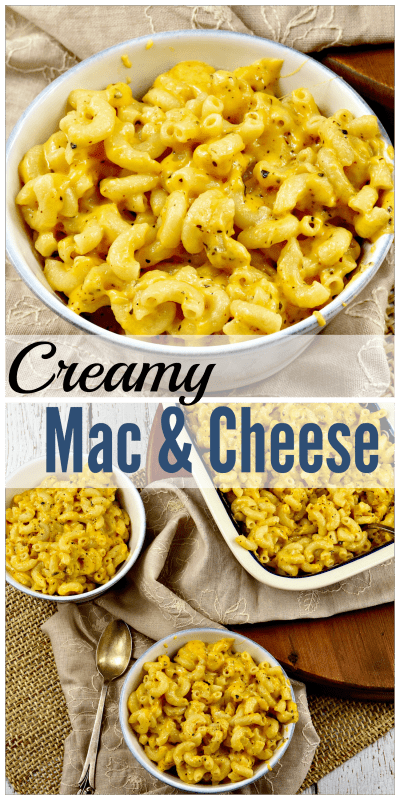 With Creamy Macaroni and Cheese, I can multiply the recipe to include six pounds of noodles and have enough for two meals – Yeah! In case you are wondering, I use one of my five gallon pots to cook that much pasta. Don’t like lots of dirty dishes? This recipe is definitely for you! Once the pasta is cooked, I add the cheese and remaining ingredients then mix it all together in the same pot. I don’t know about you but that is this cook’s dream! If you have been around for awhile you know that I loooove healthy homemade replacements for processed foods. 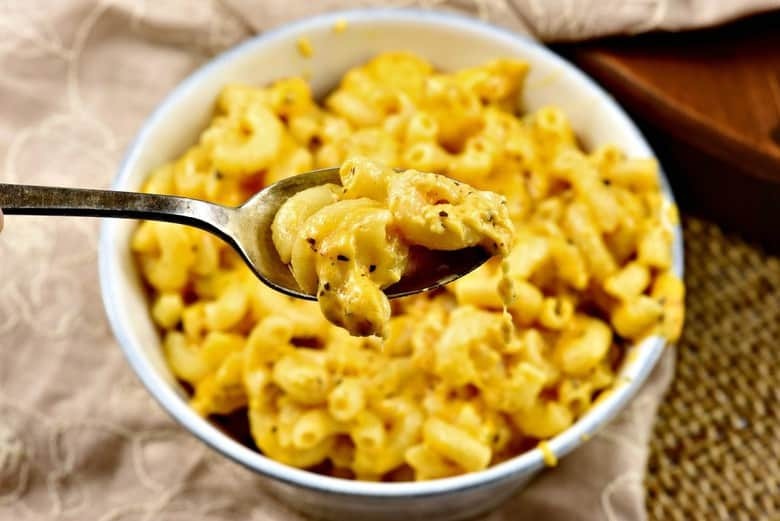 Once you try Creamy Macaroni and Cheese I know you will agree – those little boxes of macaroni and cheese along with their cheese packets sold in stores, can’t hold a candle to homemade. Plus, you no longer have unnecessary ingredients and preservatives – YEAH! I have made the following recipe with regular, whole wheat and gluten-free pasta – they all taste great. While you can bake the macaroni and cheese once everything is mixed together, I normally serve it straight from the stove – easy peasy! While the macaroni is cooking, mix all the sauce ingredients together and set aside. When macaroni is fully cooked, drain and add the cheese - stir to melt. Pour sauce over macaroni and cheese mixture. Serve and enjoy or for a crusty version, bake at 350 F for 15 mins. until bubbly.